Water is essential in our daily lives! It helps detoxify you from the inside out! 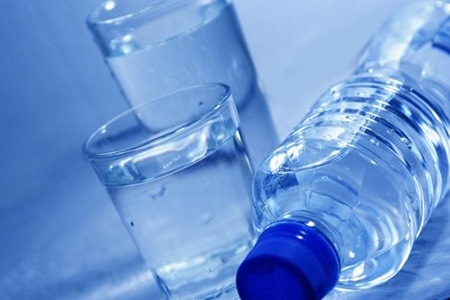 There is no magical number as to how much water you need on a daily basis. If you eat foods that have natural water content in it, like fresh fruit and vegetables, this also counts as your daily water intake. Also, the more active you are, the more you perspire, the more water you need to drink. 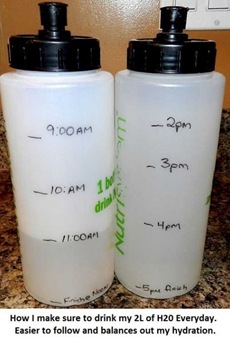 I shoot for 2 liters of water per day! This may seem like a lot but I have found a helpful tool that allows me to monitor my water consumption. I found this idea on Pinterest, of course! This entry was posted in Daily Affirmations and tagged Daily Affirmations, health. Bookmark the permalink.